Put A Little Umbrella In Your Drink: Tostitos Thins :: Perfect For Summer Snacking! 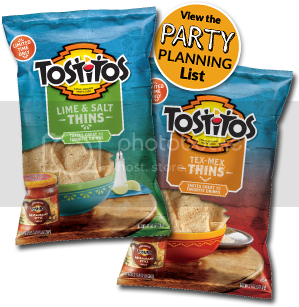 Don't plan your summer party without the new Tostitos Thins! These light and thin tortilla chips are perfect for summer dips and recipes! They come in two flavors: TexMex and Lime & Salt. I love the Lime & Salt. They have just the perfect amount of flavor and they are so light and crispy! My husband loves the TexMex. He is a nachos kind of guy so he thinks they are great in queso. 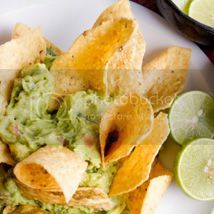 I found this fantastic Citrus Guacamole recipe on the Frito-Lay Facebook page. It is perfectly paired with the Lime & Salt Tostitos Thins! Peel avocado and mash until chunky. Stir in minced onion, grapefruit juice, diced grapefruit, garlic powder, salt, and sour cream. Serve or cover and chill in refrigerator until ready to serve! These are a total match made in heaven for Tostitos Thins Lime & Salt tortilla chips! Check out Frito-Lay for even more great recipes. Pick up some Tostitos Thins when you are planning your summer party menus this summer. They really are perfect for summer snacking!